Saturday April 6 2019, 12:03:33 UTC just a little over 9 hours ago located on the Mid-Indian Ridge a 5.2 magnitude quake occurs in the middle of the ocean of a 10.0 depth magnitude. There has been several earthquake of this 10 depth magnitude today near the same region . Take for example on December 3 2018 a pattern of 10 was observed in the Northern Mid Atlantic Ridge. Today several 10 depth quakes having been occurring. This ocean quake has been the highest magnitude so far today. 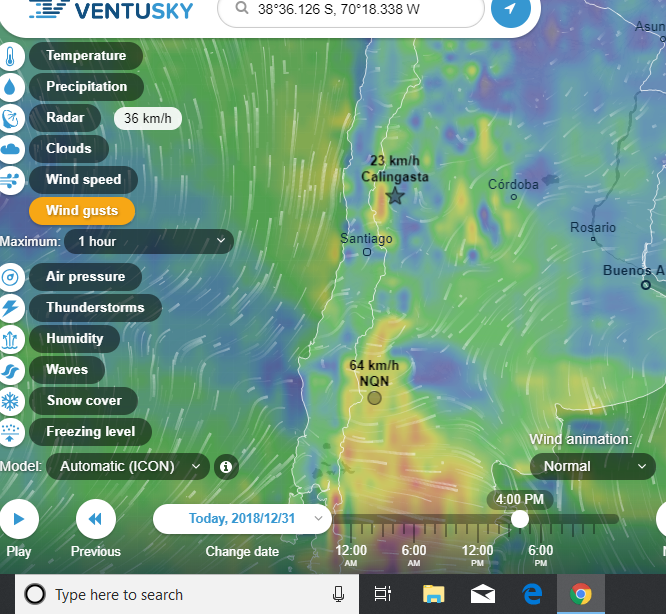 Two hours later there was another 10 depth quake near the region on Saturday April 6 2019, 13:23:05 UTC 144km ESE of Mohean, India 4.8 magnitude 10.0 depth. Followed by another 10 depth quake, three hours of a difference from the Mohean Idian ocean quake. Saturday April 6 2019, 17:11:22 UTC 4 hours ago Northern Mid-Atlantic Ridge 4.7 magnitude 10.0 depth. So far today, all three 10 depth quakes have been strong quakes occurring in the ocean. 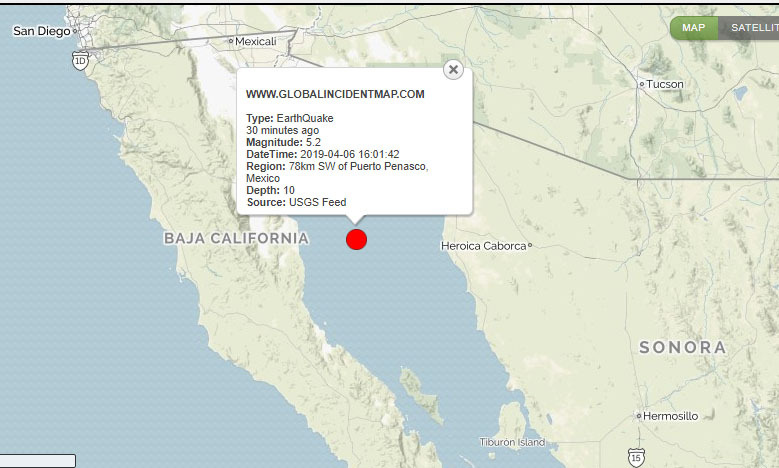 With the most recent ocean quake occurs on Saturday April 6 2019, 21:01:42 UTC 78km SW of Puerto Penasco, Mexico 5.2 magnitude 10.0 depth km. What is Nevada becoming a test site for as there are more observed 10 km depth earthquakes today. A 10 km depth earthquake occurred in an unusual zone called Northern Mid Atlantic Ridge in the middle of the Saragossa Sea. This area has been somewhat shaking quietly for several times this year. Is this being provoked in the Ocean Waters by some kind of sonar boat device. There has been a lot of mysterious boats from unknown country of origin floating around that area. The Region of Alaska , California and Nevada has had the 0 km depth small tremors. The area where the December 31 2018 earthquake occurred in Calingasta is a department of the province of San Juan. It is the southwestern corner of the province, which is predominantly a landscape of mountains and rivers. Is China building a secret base program in Argentina? Vice News has done some reporting asking the towns people what they think the Chinese are really doing out in the Patagonia desert. The Chinese people say that they are observing the stars with an investment of 50 million dollars on foreign land tax free. According to the report "China gets access to 494 acres of land, rent and tax-free, for 50 years. The Argentine government gets access to the base just 10 percent of the time." Yet the 7,000 towns people from Las Lajas, Neuquen Province, Argentina do not think the Chinese are there for the space program. They are watching closely because they live 70 km from where the Chinese satellites are built . Is the agenda more sinister than just looking at the celestial sky. It is also located nine kilometers from Las Lajas, the provincial protected natural area "Cuchillo Cura Cave System", unique in South America and considered the most extensive in the country. The site keeps thousands of stalactites and stalagmites that adorn more than four kilometers of cavities, and has its own fauna species, such as small insects totally adapted to the underground life. "In the report "Construyen en Las Lajas, Neuquén, una estación terrena China de control espacial" from 2014 the speaker talks about the area to be opened to tourist so far only students from the previous Vice News claim have entered into it . So why the change of mind? There is also the H.A.R.P program in Peru. A series of earthquakes occurred around the world within 10 minutes apart from each all over 4 magnitude with Fiji continuing to have deep earthquakes deep in the ocean. Then eight hours later a larger magnitude earthquake at 5.1 and yet not so deep earthquake. 0 km depth and 10 km depth earthquakes are right on the atmosphere surface so what is making these shaking? Perhaps something not within the earth but outside of the Earth's surface. Which is why many are paying attention to the secret space programs that the public does not know has existed. The 10 km depth Earthquakes is a trend that needs close attention to. On October the 3 2018 Indonesia received over three 10 km depth earthquakes. Then there was that large unusual tsunami at 9:30 pm central time followed 5 days ago. They say that a volcano triggered the tsunami because there was no earthquake in that area during that time. So is the October 3, 2018 10 km depth earthquakes in Indonesia triggering volcano eruptions. It is no coincidence that this low depth earthquakes are could be triggered by some microwave weapon perhaps via satellite happening on the ionosphere . Yesterday, a 6.1 magnitude earthquake hit again at 10:03 a.m. local time (0303 GMT) with an epicenter of 26 km underearth of southeast Manokwari. Whatever is occurring in Fiji and Tonga area is letting us know that nature is quietly changing beneath the ocean. The Redoubt Volcano also is another trend that some say is a ticking bomb. In my observation over the year, the redoubt volcano strange earthquakes keep on getting deeper.